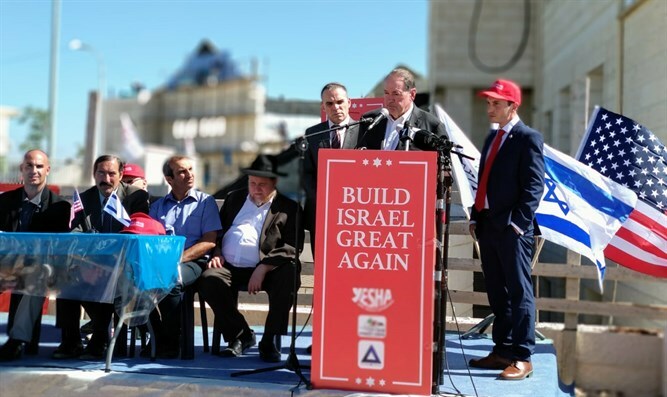 Governor Huckabee’s visit to Israel is an initiative of the National Council of Young Israel and the mission was led by its First Vice President Dr. Joe Frager. The group was welcomed to Efrat by Mayor Oded Revivi, who also serves as Chief Foreign Envoy for the YESHA Council. Mayor Revivi thanked the Governor for his many years of support and said that his support allows many others to realize the realities on the ground in Judea and Samaria. “The truth of these communities is that they are safe thriving places to build homes and raise children and while we would never excuse or minimize the evil of terrorists and extremists, they are the tiny minority of a population that is committed to living in harmony and co-existence,” Revivi said. The Governor’s mission will include stops across Israel with visits to the Golan Heights as well as the Southern border areas to enable the group to better understand the myriad of security and practical challenges faced on all fronts.